Eyelash extensions are among those items that instantly boost your confidence with each placement on your natural set. They're the difference between waking up/running out the door and feeling like you need to put on a few products before you leave the house—they have a way of making you feel "done." 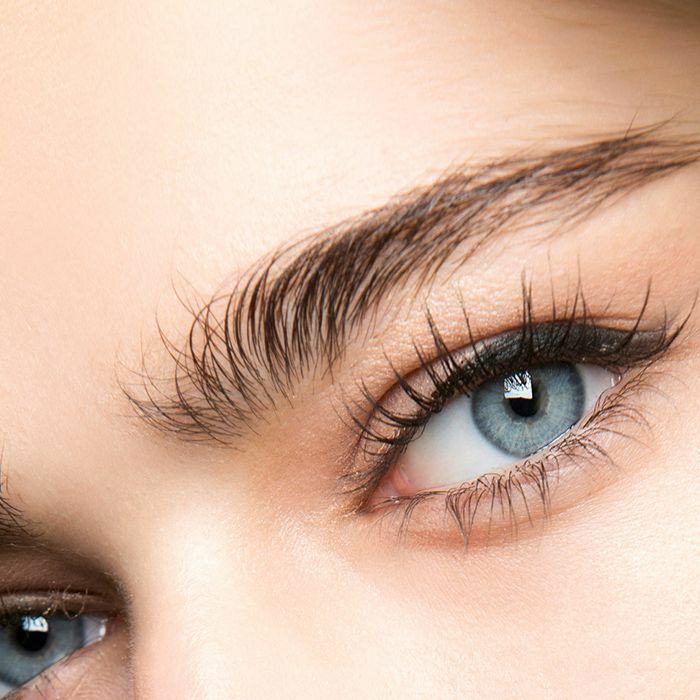 Though, let's be clear—not all lash extensions are created equal. Some women have had adverse experiences that caused them to swear off falsies for good. But if you've gone to the right place, enviable, doe-like flutters are on your horizon. Today, we're focusing on the best places to get lash extensions in Los Angeles. Had you been unsure where to get them before this, you might have searched Yelp, which is precisely why we commissioned the help of the review site for the top-rated lash spots in La La Land. An added bonus: Many of them offer the ability to book an appointment directly through Yelp, so you can make moves toward your new set of lashes even faster. Take a look at the best spots below. Standout review: "So obsessed with these lashes. I've never had lash extensions before and was always kind of nervous to get them because I wanted to still look really natural… but not have to wear as much makeup. They turned out better than I even expected! So, so natural looking but I already feel better. They make me look way less sleepy (even when I am)." — Shelby B. Upon first setting foot inside this salon, you'll immediately feel at peace. The decor is chic, spa-like, and top-notch, which adequately sets the pace for the high-quality level of lashes you're about to receive. Standout review: "I constantly get compliments from co-workers and my patients. They all can't believe how absolutely natural and beautiful my lashes look! Def makes my day. The glue she uses does not irritate my eyes whatsoever, and the lashes last for such a long time. Of course there is upkeep on my end, and they take a little work, or maybe I should say, they take a little more awareness." — Tasha P.
The owner, Colette, had an entrepreneurial background and a passion for beauty, which is why opening a spa seemed like a seamless next step. Customers rave about Colette's (and her employees') customer service and fun environment that can make an otherwise taxing beauty process more enjoyable. Standout review: "The lashes look so natural. Doesn't even feel like you're wearing anything. I get compliments on a regular basis. The store is very charming. All of the staff are absolute sweethearts." — Marie M.
It's clear by the name that this lash spot will be kitschy—the interior is full of gold, crystal chandeliers, and '40s pinup models to drive the "strip" theme home. Don't let the atmosphere fool you, though—the lash services are among the best in the area, especially if you're looking for a your-lashes-but-better vibe. Standout Review: "My work schedule is always hectic and changes every week but she works with me and provides her availability which makes my life a whole lot easier. I've had four or five new sets of lashes done by Angie and I swear by her. I wouldn't look to anyone else for my lash extensions. Overall, I'm always a satisfied customer." — Kelsey M.
Take a scroll through the customer images on ExtravaLash's Yelp page and you'll understand why it's so highly reviewed. Each set of natural-looking yet lengthy lashes is a testament to the work that the owner, Angela, is capable of. What's even better is the price range is affordable, music to the ears of L.A. girls and boys. Standout review: "I have had my lashes done by Natasha twice now and she is AMAZING!!! She is so skilled, technical and sweet. She does an amazing job and pays attention to every detail. I walk out feeling like a million bucks every time and am constantly asked about my lashes. They usually last three to four weeks if you take proper care of them and follow instructions!" — Alina S.
Charity and her protégé are masters at their craft. Aside from the compliment-earning lashes, the customers love how warm, friendly, and personable they are (a plus when you're going to be spending close to two hours with someone right near your eyeballs). Now that you know where you're going to get your lashes done, take a look at these care instructions.